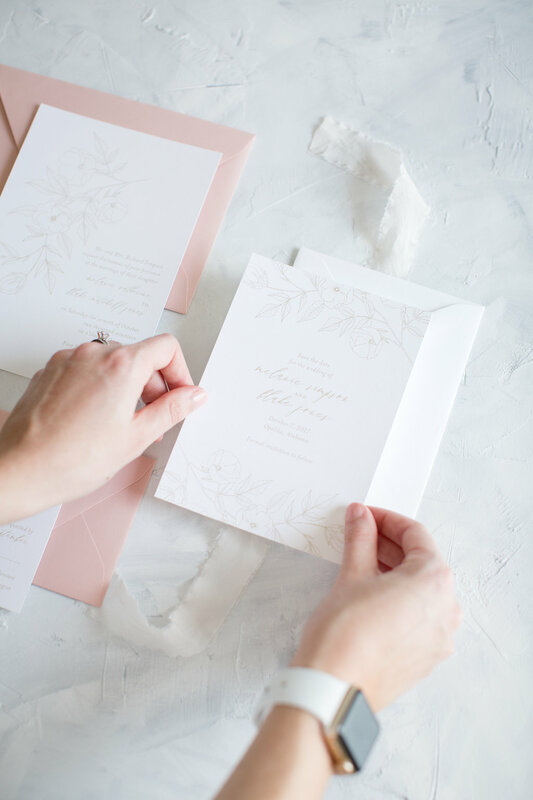 100 invitation suites that include digitally printed wedding invitations with envelopes and RSVP cards with envelopes starts at $1,075. 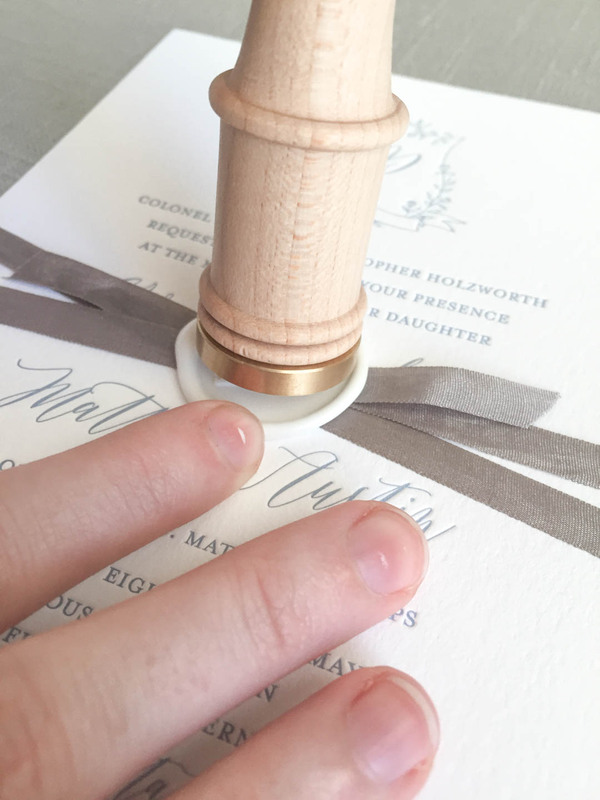 Pricing depends on quantity, your chosen printing method, and any additional pieces. Get started by filling out the form below, and I will be in touch to go over the details!